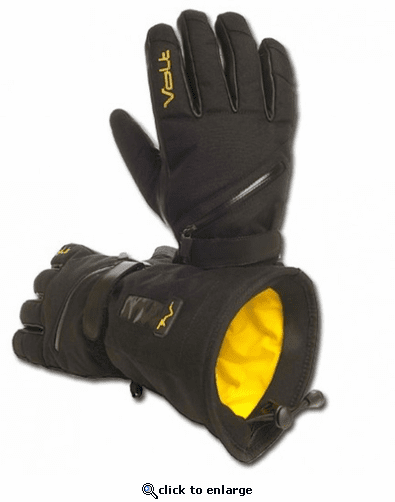 These waterproof nylon performance heated gloves will provide hours of safe, low voltage heat. Using the soothing 7V heating technology, the gloves will provide warmth throughout the entire length of each finger. The outer nylon shell and reinforced palm make for a great fit but also adds durability. They also include a breathable waterproof membrane and a soft tricot lining. The battery pocket is located in the middle of the glove for easy accessibility. The battery pocket opens and closes with a strong waterproof zipper and has a display window so you can see the power level setting. This window will allow the user to easily adjust the temperature to one of four power level settings without taking the battery out of the pocket. An adjustable nylon wrist strap and strong elastic cinch cord at the cu helps to seal out any unwanted cold air or moisture. About Volt Heat: At Volt Heat we use only the highest quality UL tested electronics and top rated battery cells. We incorporate our patented Zero Layer heating system into fashionable products using technical fabrics and advanced insulating materials. Our products have been tested against others in the market place and have come out on top. Most recently our heated vest and heated gloves were selected as "The Best" by a non-profit organization created to research, test, and rate consumer products objectively. Volt Resistance heated clothing was developed to provide a solution to people who suffer from the cold in situations where the body is not able to provide the warmth needed. Whether you suffer because of a medical condition or if you just hate being cold, we are proud to offer a complete line of heated products with our patented Zero Layer heating technology that allows you to manage your thermal comfort regardless of the temperature. Volt Guarantee: We stand behind what we make. Any defects or failures in workmanship will be covered for life. We want your Volt Heat product to be able to help keep you warm season after season. ACTIVE HEAT: Our heated gear is designed to keep out the cold and uses insulating materials to work with the body's natural ability to generate heat, but the drastic difference is that our 3v heating technology provides "active" heat for those situations where the body is not able to provide warmth. This is especially important for people with poor circulation, or who suffer from conditions like Raynaud's Disease. Products that Outperform: At Volt Heat we use only the highest quality UL tested electronics and top rated battery cells. We incorporate our patented Zero Layer\xAC heating system into fashionable products using technical fabrics and advanced insulating materials. Our products have been tested against others in the market place and have come out on top. Most recently our heated vest and heated gloves were selected as "The Best" by a non-profit organization created to research, test, and rate consumer products objectively. Volt Heat Guarantee: We stand behind what we make. Any defects or failures in workmanship will be covered for life. We want your Volt Heat product to be able to help keep you warm season after season. If for any reason you are not satisfied with your purchase of your Volt Heat product send it back within 30 days for a full product refund. Outdoor Passion: Powder skiing in untracked back country, bow-hunting from a treestand or making sure you attend every one of your child's sporting event. People with that kind of passion won\xCDt let inclement weather interfere with their personal enjoyment. We are just as passionate to help provide them with the most warm and comfortable experience regardless of the weather. Active Heating Technology: Our heated gear is designed to keep out the cold and uses insulating materials to work with the body's natural ability to generate heat, but the drastic difference is that our heating technology provides "active" heat for those situations where the body is not able to provide warmth. This is especially important for people with poor circulation, or who suffer from conditions like Raynaud's Disease. Heat Transfer System: Our "active" heating system uses both conduction and radiation heat transfer methods to help keep you warm. Conduction is direct heat flow through matter and resulting from physical contact. Our products have a heating system designed specifically for conduction to create warmth by stimulating blood flow. Our system also generates infrared rays that emits upward with help of a thermal reflective barrier. When these rays strike the surface of another object like the fabric and the body, the rays are absorbed and then heat is produced. This heat spreads throughout the mass by conduction. Remove battery(ies) and charger from packaging. Plug the charger into a properly rated AC electrical outlet. Connect the batteries to the output plugs from the charger to commence charging. The LED light(s) on the charger will show \xF1red\xEE when charging. Consnone BUT i think for guys they run a little small as far as fitting.. Wore them out ice fishing and kept my hands warm for over 6hrs. ConsRun small, but ordered one size bigger so not an issue. These gloves are performing as expected. I'm old and my fingers get numb in temperatures much under 60F. So I've not been riding my trike in the winter and I missed the exercise and just being out in the fresh air. 12 mile ride today at 50F and my fingers stayed comfortable with the heat setting on 1, the lowest of the 4 heat settings. 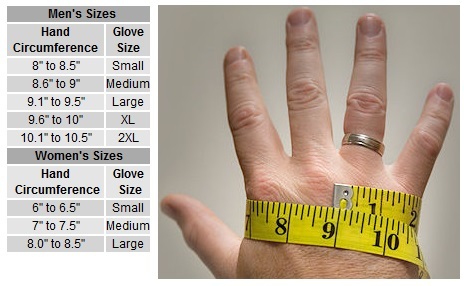 ConsI ordered extra large, not because my hand is large, but my fingers are long. As expected the fingers are still a little short, but they are also quite snug and a little difficult to get on, but once on, they feel okay. Looks like great quality, but the sizing chart is off. I measured myself to be a medium, borderline large, so to be on the safe side I ordered large. I will exchange for an XL. 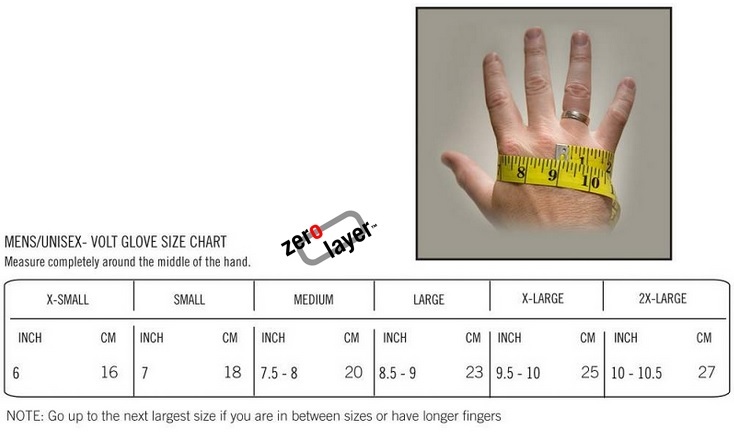 ConsSizing chart way off with these Tatra gloves.